THERE are many amazing hotels in the world, and in an occasional series, I will look at Rooms at the Top. Not necessarily the top as in height above sea level but rather their spectacular offer to the guest. One such is the Corinthia London. Located south of Trafalgar Square on Whitehall Place on the fringe of Clubland and a short walk from Royal Parks and Palaces , the processional route from Palace to St Pauls Cathedral passes close by , as well as the vibrant theatre district. The Corinthia London is a relative newcomer to the capital first opening in 2011, then rapidly accumulating recognition and awards confirming its status as a flagship hotel of Corinthia Hotels a Malta-domiciled international luxury hotel company. 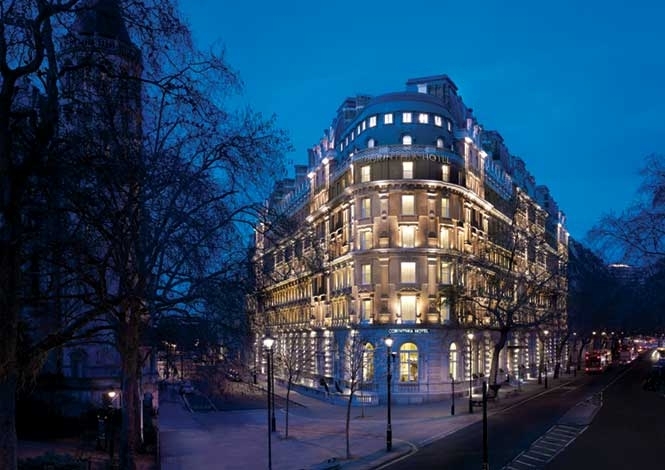 The hotel offers 294 rooms including 36 suites and seven penthouses, as well as several world-class restaurants and bars as well as a spectacular spa to luxuriate in when not sampling all that the West End of London has to offer. The outfitting is elegant – even glorious – with furnishings of unsurpassed quality, attention to detail as well as a service culture that not only offers guests original artwork on the walls and chandeliers suspended from ceilings to achieve a level of glamour even of grandeur. A truly luxurious aspect to the Corinthia London is the space to truly breathe that the hotel offers its quests. Not only in the public spaces which are generous yet with private dining rooms and meeting spaces that bring the opportunity for secluded conversations, but also the quest rooms. The most accessible deluxe rooms offer on average of 32 to 39 square metres, rising in size to the suites to an average of 46 to 86 square metres. While the penthouses, each of which is uniquely-themed; each has its own private staircase and in some cases its own lift , offer from 100 square metres rising to the Royal Penthouse at 456 square metres. Many of them with double-height ceilings and the rooms are quite probably the most extravagant in terms of space in the whole of the capital. The Corinthia London Hotel offer afternoon teas in her lounges and garden courtyards and does not yet have iconic status in London, but it soon will.